Are you looking to start a new hobby or simply upgrade to a better one? Road bikes are the way to go if you are a thrill seeker that loves hitting the open road while riding some of the best bicycles in the world when it comes to smooth and paved roads. 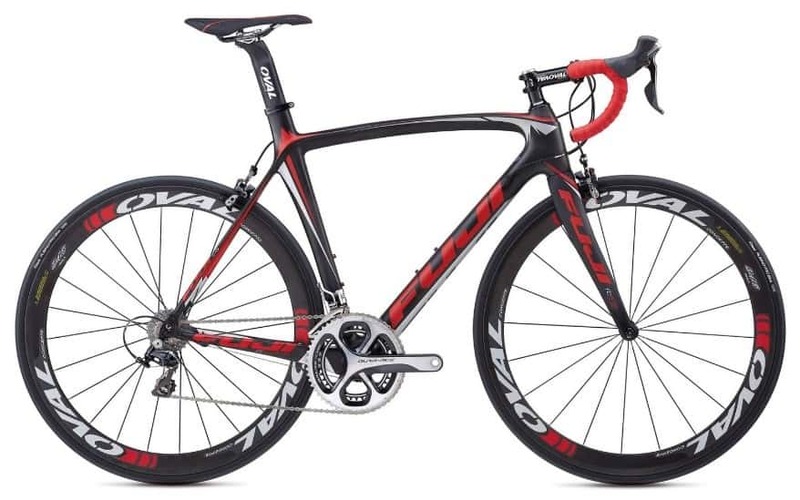 Road bikes are classified as the fastest bicycles and are equipped to be ridden on smooth roads. In like manner, paved roads will also do but will not be as comfortable if the pavements are irregular. The reason for this is because the bikes come with smooth and skinny tires that are not ideal for rough terrain. They are also designed to be light as well as unsuitable for heavy loads. Are you already itching to hit the road? There are a few things you need to know before you pick any bike on sale and hit the road. There are important factors to consider before buying your first bike and riding into the sunset not to mention that these factors will determine how much your will enjoy the ride. You need to know that picking a road bike is not as easy as it sounds. There are so many options in the market both regarding type and design that choosing the right one will need guidance. The first factor that you need to consider is the cost implications. It is however almost impossible to handle cost on its own as a topic. The reason for this is because the cost implications are determined by the rest of the factors. Your budget will also determine how these factors will apply when it comes to picking your first road bike. Number two on this list would be the type of bike you want. 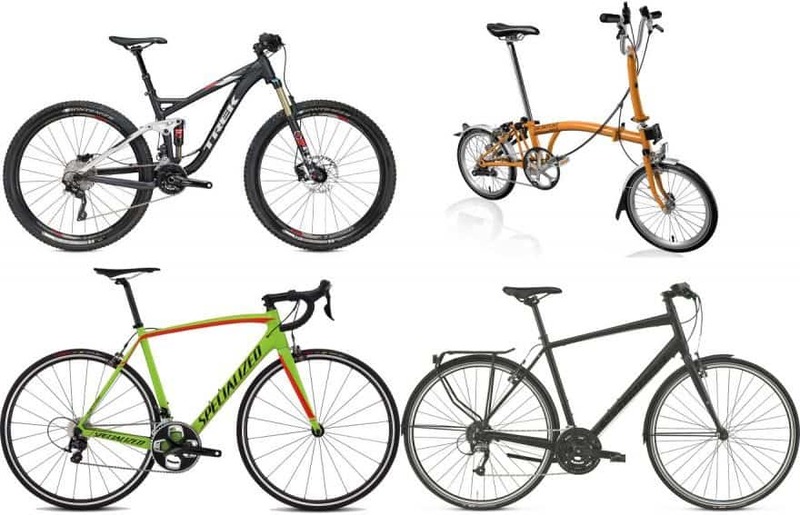 Here types of road bikes you need to know exist in the market. You just have picked by now that not all are suitable for what you are looking forward to engaging in. These are some of the most versatile bikes and are designed to be ridden on some surfaces. They are ideal for smooth roads, paved paths, grass, and gravel. The tires are designed to provide more traction by being slightly wider but they have drop handlebars just like regular road bikes. They are ideal for an everyday user not keen on speed on smooth roads. These also come with dropped handle bars but are designed with a more relaxed frame. Touring bikes are ideal for riding on pavements and irregular terrain for extended distances. The comfortable frame helps the rider sit in a more upright position allowing one to ride for long distances. They are also fitted with the necessary mounting bolts for the purpose of fixing load carrying containers. These are some of the fastest bikes on the market designed with aerodynamic properties. They are also designed for smooth roads with handlebars leaning further downwards. This kind of handlebar allows the body to position itself in an aerodynamic position for the purpose of increasing speed. Moreover, these bikes have staggered starters and are not allowed in mass start races. These are performance hybrid bikes that are commonly used by people that want a piece of both worlds when it comes to speed and everyday use. The tires are slightly wider for the purpose of increased traction. 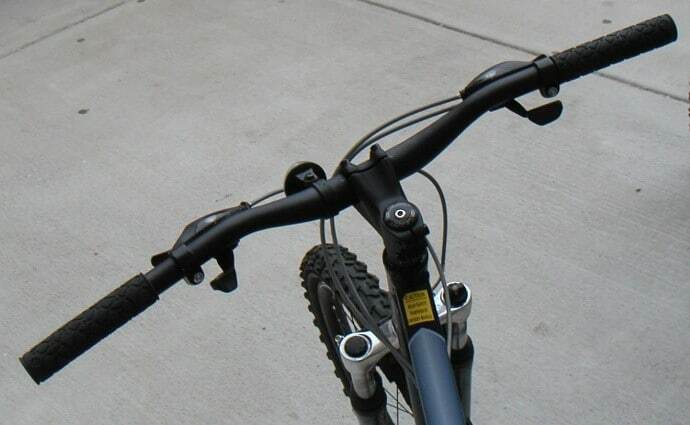 The handlebars are flat and a little raised for a more comfortable position. It is no wonder that most people call them fitness bikes. Do not be fooled by the looks of this bike. The frame is light and can pick speeds that are much higher than conventional bikes. These bikes are only fit to be used on a velodrome. The track is mainly designed for racing bikes. The bikes have no coasting gears, and so one has to keep peddling as long as the bike is moving. This means that the rider can brake using the pedals, and so some come with bars missing brakes. The bars are mostly dropped in nature, but you are likely to find a few more in an upright position. This is because the bike can be used off the track on paved roads. These are some of the most thrilling forms of road bikes designed to hit rough terrain. They are also used to scale rocky trails with sharp and hilly dispositions. Some mountain bikes have front suspensions for the purpose of absorbing shock while others have them on both the front and real bars. These are called duallies. Those without the suspension are called rigid and are not advisable in really rough terrain. The tires are wider to provide traction and the threading will also be deeper. They can be used as touring bikes but are not as light meaning lower speeds. They are also designed with upright or flat handlebars as well as a low gear range for the purpose of handling the hilly terrain. These are a cross of all the bikes designed to handle all manner of terrain. They are not masters of any terrain due to some features they carry. The tires are medium sized, and the handle bars are slightly raised. The frame is not light enough to provide speed and not heavy enough to carry heavy loads. The gears allow them to scale terrain that is a little hilly while providing reasonable speeds which makes them ideal commuter bikes designed to handle everyday use. These bikes are designed for leisure and short rides around the neighborhood. They are perfect for running errands due to their design. The handle bars are raised and also lean backward allowing an upright position when riding. The tires are balloon-like with a little reaction which makes them ideal for semi-smooth roads around the neighborhood. The frames are slightly heavier meaning that they can carry reasonably heavy loads. They are one or three gear with coasting pedals allowing them to break through reverse pedaling. They can be told apart by the flashy colored they come with. 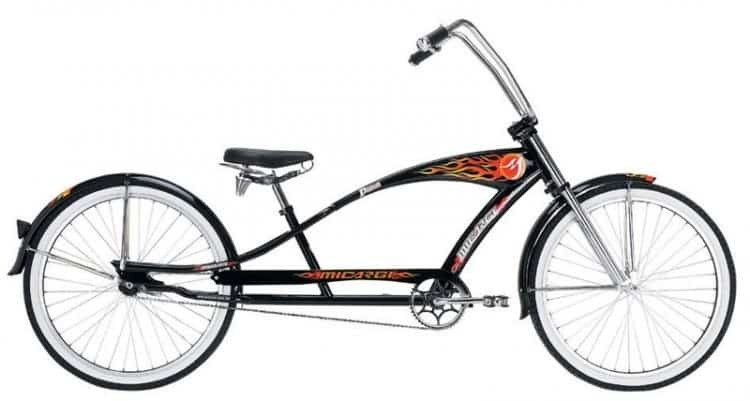 These are a version of the cruiser bikes but with a more extended pedal distance. The range is shifted forwards allowing you to place your feet in a low stance on the ground when stopped. These are popular commuter bikes designed with a compromise of all the other bikes. They allow an upright sitting position, have a weak frame that handles little luggage as well as lack gears. They are also known as Dutch bikes. They are some of the oldest version of bikes and were designed for the purpose of commuting to and from work. They are also designed with fenders, skirts and a chain guard in most cases. These are ideal bikes for stunts and tricks. They are splendid for both adults and kids. They come with a reinforced frame ad are small in size allowing maneuverability during stunts. These bikes are designed for commuters and people that love traveling. They have a folding frame that allows the bike to be bent into half of what it is. This action enables it to fit in small spaces like trains, cars, and buses. The tires are however smaller than most of the other bicycles which reduce efficiency significantly. The enthusiasts, however, feel that the benefits that come with the bike outweigh the challenges by far. It is for this reason at these bikes is still popular. These bikes redesigned for comfort. They are however not usable in hilly places as pedaling will be a nightmare. They are designed for the rider to sit in a completely upright position, and a backrest is added. The pedals are a little further than most. They are also available in two-wheels as well as three wheel forms. They are almost impossible to ferry using a car. These are some of the most fun bikes to ride. 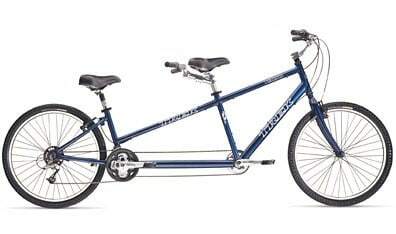 They are designed for two or more riders that pedal in tandem to get the bike moving. The riders have to be very well coordinated for this to work. These are ideal for the elderly. They are stable thanks to the here wheels as well a capable of carrying stuff around. They are suitable for the old that feels the need to do some manual exercises. The frames of the bicycles are another factor to consider. The frames mainly affect the budget that you are working with. Some of the materials used to design these frames are aluminum, steel, carbon fiber and titanium. The difference comes with what the designer does with the particular material in use. Aluminum is one of the best materials because it is light and likely to build very interesting designs in the right hands. The material also builds very rigid frames making it a strong candidate when it comes to the strength of the material. Most cheap road bikes will be made from aluminum. They are a good place to start for your first bike if you are not looking to spend a fortune. Most designers will use butted forms of aluminum pipes where the ends are thicker than the middle sections of the tubes. This is for the purpose of providing stronger joints. Steel is also ideal when it comes to bike frames. It is one of the oldest options in the market. It is also a perfect frame in the hands of a good designer. It is a little heavier than aluminum but creates ideal conditions for road bikes using tough terrain. Steel is also stronger than aluminum in every sense of the word providing more durable bikes. You will, however, have to sacrifice on the need for speed on this one. The news is that there are new bike designs using steel that are as lightweight as aluminum bikes. These use steel tubes from Reynolds and Columbus. This is one of the most expensive bike frames for reasons. It comes with the strength of steel and the lightweight properties of aluminum. It is also corrosion free which is nothing short of perfect. You can choose to pick bikes with this kind of frame if you are willing to invest into your riding. This is the most expensive and most coveted frame when it comes to bicycles. Road bikes that come with this frame are ridiculously expensive. This doesn’t mean that you cannot make it a dream project. It is a goal for almost every rider has when it comes to road bikes. You can, however, find relatively cheap carbon framed bikes. The reason for this is because manufacturers can manipulate the quality of carbon fiber to provide lesser expensive options for buyers. This allows you to spend less than $1000 to acquire a road bike. This is still a hefty investment since you can get an aluminum bike at much lower prices and enjoy the same or better qualities. The performance of a bike is a combination of the tires, the frame, handlebars, gear system as well as the pedaling system. Bikes will come in different sizes and shapes which are the reason why you have to choose what suits you. In addition to this, you have to ensure that the bike is within your capabilities when it comes to handling. 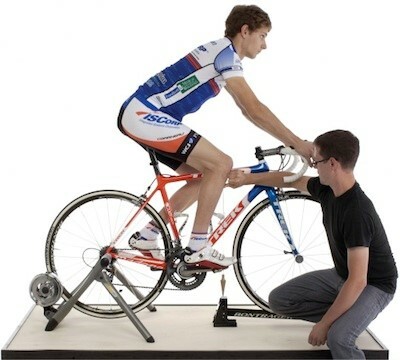 Bikes are measured in centimeters, and these can vary slightly but make a world of difference. There can be about ten sizes between few centimeters making picking one a chore and so one of the best ways to go about choosing the right size for you is by trying one physically. Ordering a bike may be very tricky especially if you’re not sure about your height and leg room. Picking a bike that is short will not be ideal. A bike that is taller than you will simply be a nightmare. The right size can be guided upon by the seller. 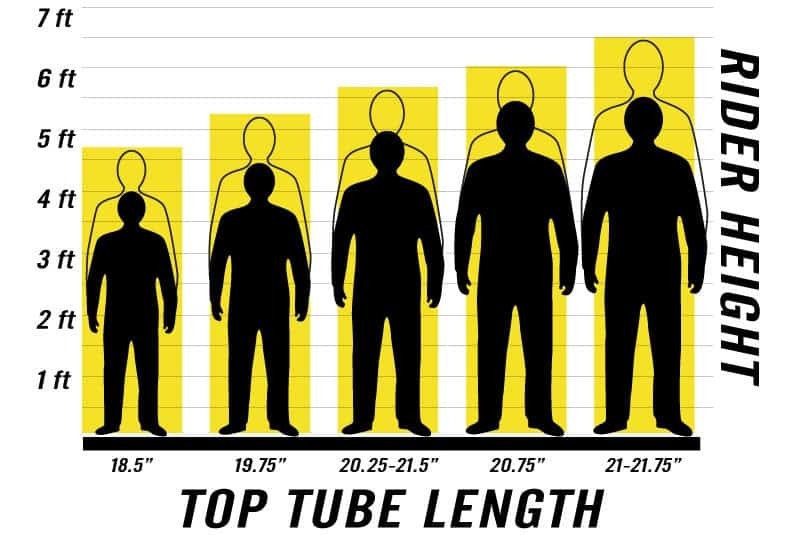 You can use a bike you know and get the measurements right before purchasing yours but one of the best ways to get the right fit is by ensuring that you can stand over the bike frame with a few centimeters of allowance between you and the top frame tube of the bike. If this is too hard for you achieve, then the bike is too big for you. As funny as this may sound, a bike will need to be the right fit for you. A bad fit is as bad as tight or clothing that is too loose. You need to be comfortable on the bike that you’re buying. The best sellers will help you with this. They will allow you to get onto the bike and adjust the seat as well as the handlebars until you are well set. This will be done on several bikes until you get the right fit. The fact that you will be using this bike for a long time is reason enough for you to ensure that you get the best. This is something mountain bikers are not familiar with and are wondering what the fuss is all about. The amount of time taken in one portion while riding a road bike on a smooth road is enough to harm your back if you have h wrong fit. It is possible to get serious back and leg injuries when this point is missed. This is probably one of the most technical aspects of picking the right bike for you. A bike is a collection of many parts. All these parts need to be well set for the perfect rise. Some bikers will go to the extent of upgrading parts so as to get the extra push. A collection of gear parts and brakes are designed to work in perfect harmonies. Some bike owners will buy these group sets and build their gear systems. Some builder will provide already built systems. It is wise as a beginner, to begin with, one that is already set up for you. You can then grow into the knowledge of building your wig reason of use. Some of the makers include Shimano, Campagnolo, and SRAM. The gear shifting mechanism will vary from one manufacturer to another. The Shimano option uses a single brake lever to shift in one direction while a lever provides an opposite shift behind it. Campagnolo provides a lever right behind the brake lever and shifts with singular clicks one way. Double clicks will shift the lever into the opposite direction. You guessed right! All this is a ploy of bypassing patents. All these manufacturers also provide electronic forms of gear shifts. These are much easier to use with switches replacing levers. Ardent riders will prefer the manual system as compared to using switches. Most beginners will pick the switch system to make the shifts more convenient. They are also an ideal option for people that are opting to buy bikes for tours. Long rides are ideal when using electronic switches. They are however more complicated to fix when one brakes down. Most bike users have the knowledge of fixing their gear systems in case a breakdown occurs. This is appointed you will get to in time. Chainsets are the parts on which the pedals are fixed onto. Different bikes will come with different chain sets. Most beginners will not notice the difference, but riders will do. It is also something you want to get a grip of right from the beginning. The number of teeth is what differentiates most of them. 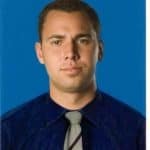 The chain sets may also come in Triple, double or single teeth rows. Most people using irregular terrain will prefer 50 to 34 teeth on the chain set. This makes it easier to climb hills. New development has brought about 52 and 36 tooth chain sets for increased speed on hill terrain. 39/53 is more suitable for racers using smooth roads. 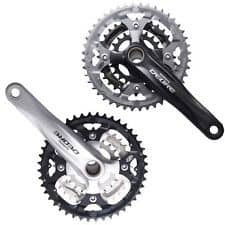 Triple chainsets are ideal for the very hilly terrain they provide faster speeds in the situation. 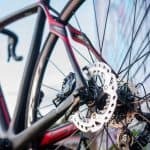 The type of chain set on a bike will also affect the price of the bike. It is easy to hit a compromise and still get a bike that will work for you. Your wheel and tires are the next stop. Moreover, you will need to spend more time looking at the options you have to get a feel of the difference. These highly affect the feel of the bike as well as its response on the road. You can choose to go for wheels with a less rotating mass that is lighter if you are looking to speed things up. Lighter and more aerodynamic tires will obviously bring about high performance. 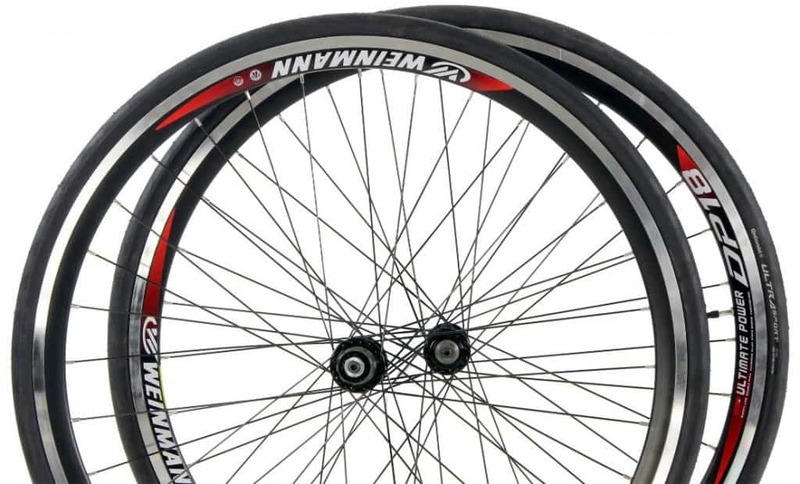 The wheel will probably eat a huge chunk of your budget when it comes to buying a bike. It is, therefore, wise that you pick a bike with the best tires for the kind of ride you want. It is amazing to note that riders have also moved from the conventional 23mm wide tires to wider options. The newer preferences range from 25mm to 26mm. This, of course, causes more drag when it comes to speed. This is however compensated for in comfort and better road holding. A professional will help you calculate the roll you have on our wheels. This is the resistance on the tires provided when moving along a road. This is translated to energy use. The lesser the energy use, the more ideal the tire roll. The perfect bike tires will obviously provide a better roll for increased speed. The dynamics that come with the entire riding exercise may, however, need you to compromise a little for comfort and traction. Most road bikes will come with the manufacturers’ breaking system which involves braking pads. 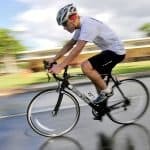 These are quite a challenge especially when it comes to riding in extreme weather. The braking system you use not only determines how well you can handle the bike but your safety in extreme conditions. It is for this reason that upgrading to braking disks is ideal. You can upgrade your system with as little as $10 and get state of the art braking disks. 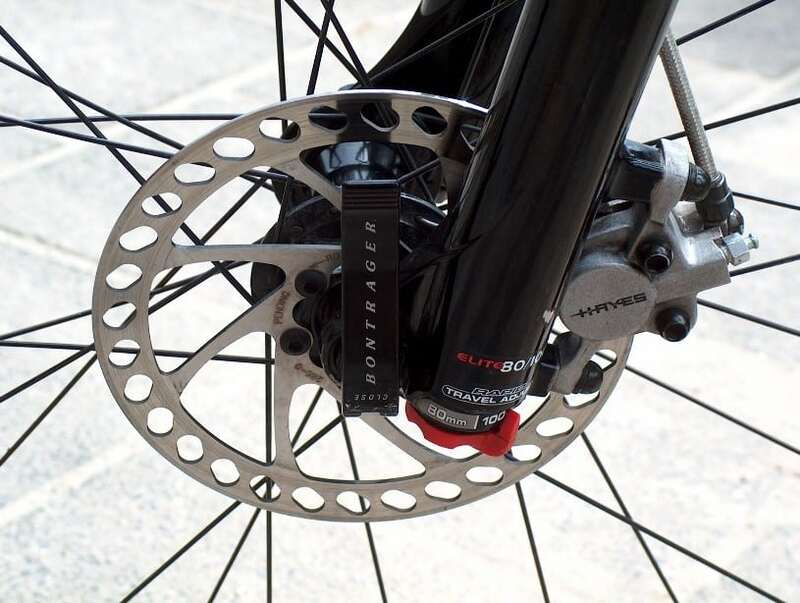 These not only make your bike look a tad cooler but provide a conducive braking environment you will not wear out your rim as well as run the risk of failed brakes; furthermore, the disks are also noncorrosive which is an added advantage. Picking your first bike may sound like a lot of work even as you go through the factors you need to consider. One of the best ways to make it all easier for yourself is by doing this with a professional. You will need to have a riding buddy if riding is going to be fun.